This one’s a pretty decent, yet wholly underwhelming “wrong man” film in which a drunk Korean War veteran is accused of murdering a young girl. A Crime Against Joe has a pretty drab script, but there’s enough interesting stuff going on to be engaging. There’s a cool high school graduation pin subplot, for example, that leads the protagonist begrudgingly down memory lane to see which of his fellow alumni is framing him for murder. 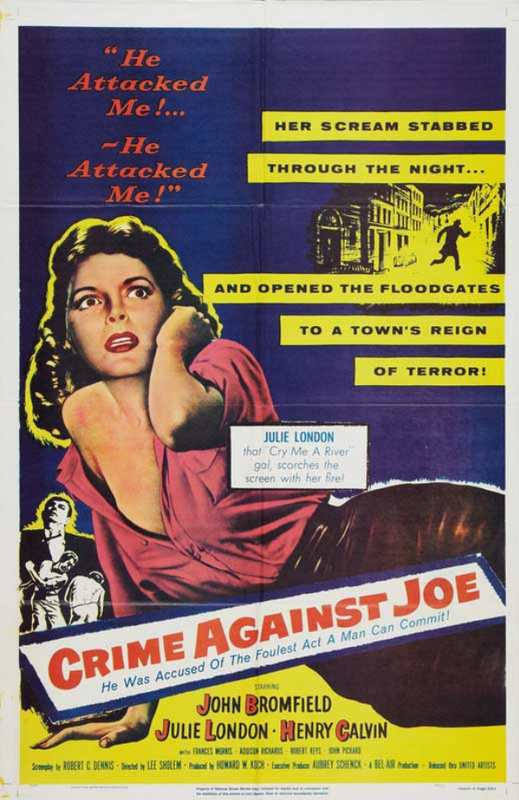 Other than that element and a few other fun aspects, A Crime Against Joe fails to really pack a punch.